Visiting this restaurant with a pleasant view of Iglesia de San Martin will be a positive experience for guests. Vegetarian cuisine can be tried here. Many people come to taste good salads, croquettes and burgers. Tasty gâteau might be what you need. Many visitors note that the staff is cute at VeganEat. Fabulous service is something clients agree upon here. You will pay attractive prices for dishes. TripAdvisor users marked this place with 4.5 stars, you can check it out. We ordered delivery and we were very happy with the food. The burgers were tasty and the patatas bravas were also very good. The Guinness cake was delicious! Almost 5 stars is pretty ridiculous! 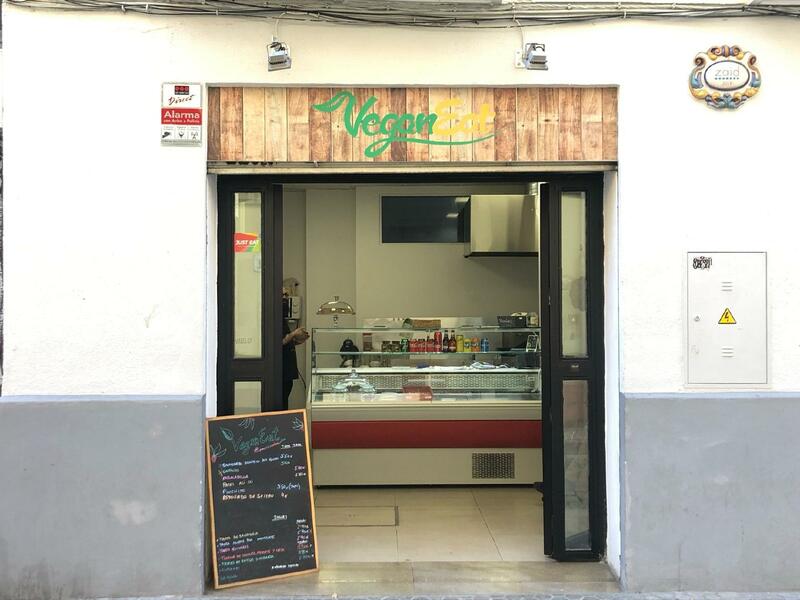 Are the vegans in Sevilla so desperate or is it just that they haven't ever eaten any proper (vegan) dish?